In a major program milestone, the prime contractor responsible for the delivery of the Royal Australian Air Force’s new fleet of MC-55A Peregrine aircraft has been announced. 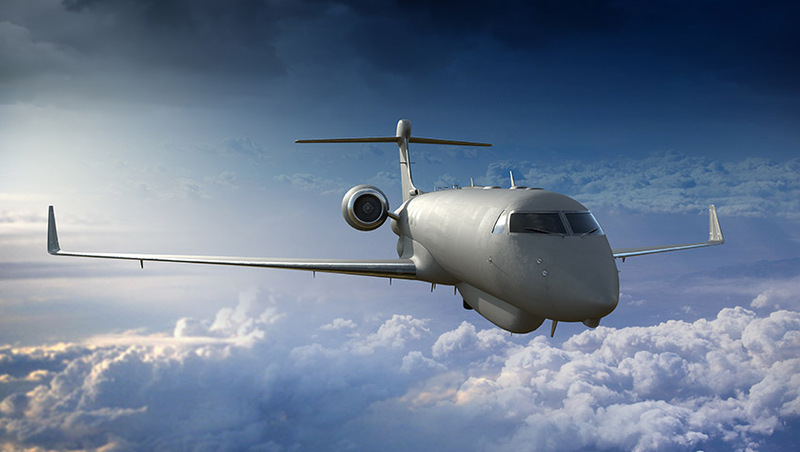 Defence Connect can today confirm that L3 Technologies has been awarded the prime contract worth an estimated US$1 billion to deliver the Royal Australian Air Force's four next-generation airborne electronic warfare MC-55A Peregrine aircraft. Known as the MC-55A Peregrine, the contract includes four modified Gulfstream G550 aircraft with an integrated mission system that provides the latest EW capabilities. Work on this program was initiated in 2017. Funded orders received on this contract were about US$230 million for the 2019 first quarter and about US$700 million in total as of 29 March 2019. As reported by Defence Connect in March 2019, Defence Minister Christopher Pyne said, "The Peregrine is a new airborne electronic warfare capability that will be integrated into Defence's joint warfighting networks, providing a critical link between platforms, including the F-35A Joint Strike Fighter, E-7A Wedgetail, EA-18G Growler, Navy’s surface combatants and amphibious assault ships and ground assets to support the warfighter." Christopher Kubasik, L3’s chairman, chief executive and president welcomed the announcement, saying, "Our mission solution and electronic warfare capabilities are highly sought-after by our allies. "As business jets are increasingly utilised for EW purposes, we have invested in miniaturising our capabilities to deliver new resources for our customers. Australia is a very important market for L3, and we look forward to a long and productive partnership with the RAAF and the local supplier base in support of the Peregrine program." Jeff Miller, corporate senior vice president and president of L3’s ISR systems business segment, reinforced Kubasik's comments, saying, "This capability will greatly strengthen the RAAF’s goal to becoming a fully networked fifth-generation force and considerably enhance their global effect on peacekeeping and humanitarian operations." Italy, Israel and Singapore operate Gulfstream G550s modified by IAI with large conformal antennas and other enhancements in the AEW&C role, and the US Navy has also ordered a similarly configured aircraft for range-control work. Various other special-mission G550s serve with the US government and other countries. At the time of the $2.46 billion contract announcement, Defence Industry Minister Linda Reynolds said the acquisition would be a major win for Australian industry: "About $425 million will be spent with Australian companies during the acquisition phase of the project, including $257 million to be invested in new facilities at RAAF Base Edinburgh. "There will be further significant opportunities for Australian industry, estimated to be over $2 billion, in the sustainment of the aircraft over the 25 years life-of-type." Australia requested the possible sale of up to five Gulfstream G550 with AISREW mission systems, GPS capability, secure communications, aircraft defensive systems; spares, including whole-life costs of airborne and ground segments; aircraft modification and integration; ground systems for data processing and crew training; ground support equipment; publications and technical data; US government and contractor engineering, technical and logistics support services; flight test and certification; and other related elements of logistical and program support. With headquarters in New York and about 31,000 employees worldwide, L3 develops advanced defence technologies and commercial solutions in pilot training, aviation security, night vision and EO/IR, weapons, maritime systems and space. The company reported 2018 sales of $10.2 billion.